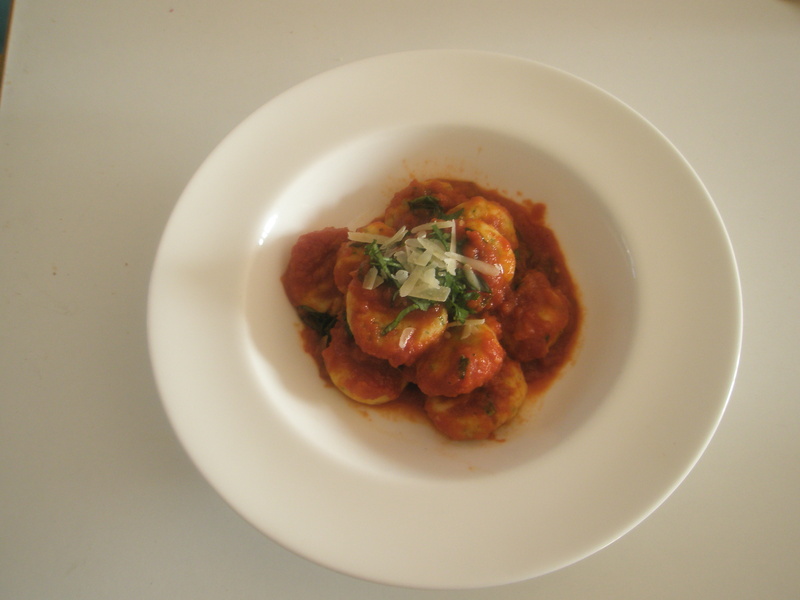 I think it was Annie from Annies Supper Club who was tweeting about her gnocchi the other day and I was like, yeah that sounds good I must have a go. So I roughly followed a recipe from Practical Cookery. This book is great, it’s one of the books catering students are advised to buy when doing their NVQs and it’s perfect for looking up classic recipe formats and ratios. I halved the recipe and exchanged the plain flour for gluten free plain flour to suit me. First cook your potato, I nuked mine in the microwave, wasn’t sure how much would be 150g cooked so I cooked a large jacket, you could bake or boil it, and then weighed it afterwards. Microwaving or baking is best because it dries out the potato but you can boil or steam if you wish. Mix the mash with the flour, seasoning and herbs. Mix the egg and stir into the mixture, you might want to get your hand in and combine until in a soft dough. Break off small pieces and roll into walnut sized balls. Gently flatten balls with a fork. 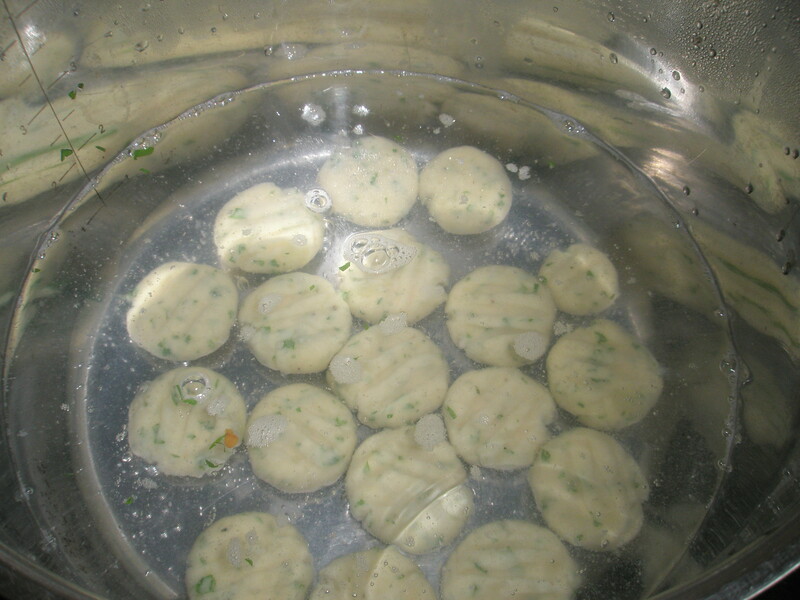 Then poach gently in boiling water until they rise to the surface. Drain and set aside until you’ve made your sauce. I then made a simple tomato sauce the recipe is the same as the one I used for meatballs in an earlier post so go check it out if you want to. 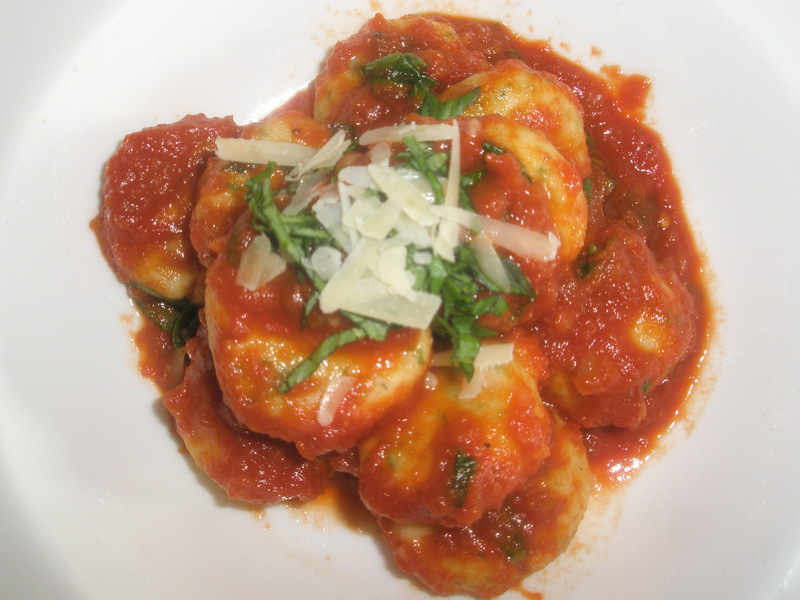 Once the sauce was ready I put in my gnocchi and warmed through. 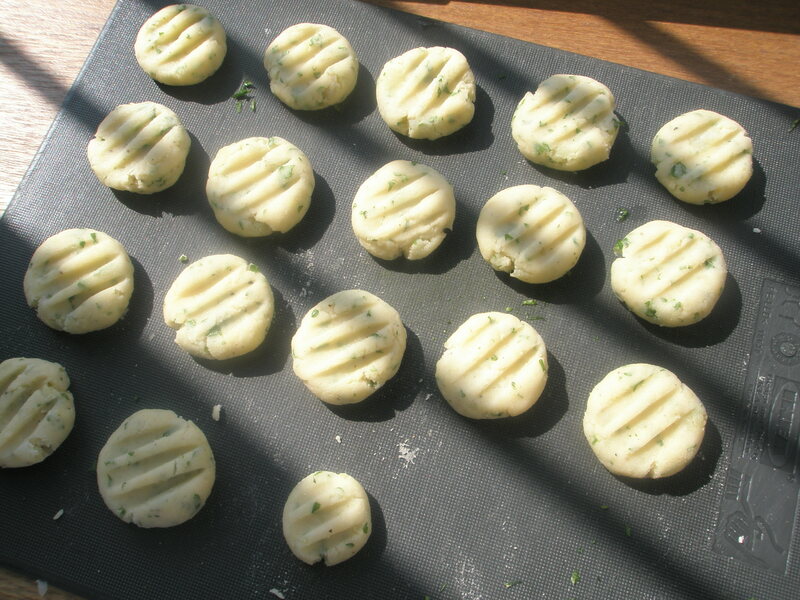 Then chucked in a handful of chopped basil, stirred through and served with some grated parmesan. Ha ha, I made pasta!! I roll mine into a sausage and cut into bits like “traditional” gnocchi then use my egg slicer thing (you know, the Betterware/Kleeneze kind of things that are like a long comb you hold the egg still with?!) to roll them on to get the “look”!